LUCY BURDETTE: First a warning--the rest of the week will have an Indian theme. Hope you enjoy the trip! I always read Sujata Massey's new releases, and was intrigued when she shifted her focus from Japan to India, and also from the present to the past. I loved the first book in her new series set in Bombay, called THE WIDOWS OF MALABAR HILL, so I asked her to join us and tell you all about it. Welcome Sujata! I always go. I don’t think I could pull off a story in India if I couldn’t smell the air in a spice market, hear Hindi and Gujarati with my own ears and taste lemongrass-ginger tea on my tongue. Traveling for a book gives me the kind of descriptive details and plot ideas that make the work of writing more natural (but never easy). Traveling abroad is always exciting, and traveling abroad to learn things for a book gives me the perfect excuse to approach interesting people to bring me into places that aren’t in Lonely Planet or Frommer’s. I was in India this past February doing research for my new series set in 1920s Bombay. The Widows of Malabar Hill introduces Perveen Mistry, an impetuous young feminist who becomes the city’s first woman lawyer. In 1921, Perveen lives in a world where Rolls Royce Silver Ghosts overtake horse-drawn tonga carts, a place where the British hold power and Indians are striving to get the right to self rule. Perveen is the daughter of a successful Bombay solicitor, Jamshedji Mistry, who wants his daughter to succeed to build status for the family. Women’s progress is her socially minded mother Camellia’s goal. It takes Perveen a bit of time to come around to accepting her destiny, but once she’s qualified as a solicitor, she realizes she’s got much more freedom than other women—and the power to help those in need. The Mistrys are members of the Parsi community, the name given to Zoroastrians who left Persia more than a thousand years earlier to settle in India. The British government favored the Parsis over other Indians in construction, shipping and business contracts. Also, Parsi inheritance laws made it mandatory for them to share wealth among many family members, including females. These are the two big reasons that Parsis became India’s wealthiest community during the colonial period. To create authentic details for Perveen’s life, my India trips include visits with people who are experts in social customs, especially the Parsis. My journeys also involve a close look at old buildings of the 19th and 20th centuries. When I travel, I stay in heritage hotels, historic social clubs and the older homes of relatives and friends. This places me in a world where there might not be waffles on the breakfast menu on central air conditioning, but there are fabulous masala omelettes and wide-open windows into India’s luxurious past. Before I began this series, I had the impression that only the British colonials lived really well in bygone days. How wrong I was! Many merchants, nobility and professionals all lived grand lives. These families hired top Indian architects and craftsmen to create their own glorious residences that could rival Downton Abbey. This the world that Perveen is fortunate enough to take for granted. I got a surprising look at historic luxury in a not-particularly well-known city on India’s western side. Ahmedabad, the largest city in the state of Gujarat, dates from its establishment by a Sultan in the 1400s. As time went on, it grew and was nicknamed “Manchester of India” for its textile production from colonial times through the 1960s. In The Widows of Malabar Hill, Perveen gives legal assistance to the three widows of a deceased mill owner. This made me very interested in staying in The House of MG, the former home of 19thcentury textile magnate Mangaldas Girdhardas. The British counted on exporting textiles, and Indians who owned mills were often very rich. Gujarat also had unbelievably artistic embroidery and mirror work done by hand in villages for wear by ordinary Indians. The House of MG has its own gallery showing saris and other antique garments, often worn by textile village children that were collected by a family’s matriarch. It also has gorgeous guest rooms with original tile floors and restaurants serving classic vegetarian Gujarati food. This Gujarati city was also a center of wood carving, so lovely carved wood is part of every guest room décor. A number of havelis (fine historic homes) throughout the city are open for viewing and one can see things like the old well systems that collected rainwater and stored them in underground step-wells in the homes’ basements that were accessible by stepping down to them. I had a great time wandering about exploring old Hindu, Jain and Muslim houses of worship and residences, though Old Ahmedabad itself is depressed, with many of the havelis unoccupied and falling into ruin. Locals hope that UNESCO ‘s 2017 recognition of their walled city as a World Heritage Site will bring rejuvenation to the city similar to what has happened in Kerala in the original section of Kochi. Fort Kochi (the old name is Fort Cochin) is an old port at the Southern tip of India. It was first taken from Indian rule by the Portuguese, followed by the Dutch and fnally the British, until Independence in 1947. Dozens of historic buildings stand proudly including a famous Jewish synagogue decorated with blue and white tiles. Many of the old townhouses have been converted into boutique hotels. The place I keep coming back to is Brunton Boat Yard, an expansive hotel made from the structure of a former maritime business. 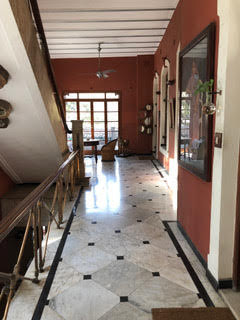 A tall stucco wall going around the boatyard shelters it from town noise, and the large, antique-furnished guest rooms either look out on the Arabian Sea or a green garden. The very simple teak furniture in the rooms and waiting area speak of the minimalist aesthetic of South India. The menu is lavish, with plenty of giant prawns and different cuts of meat on the menu and Portuguese stews as well as South Indian dosas and idli. Alcohol is drunk freely throughout the state, and vintage cocktails such as the gin-lime are easy to come by at the hotel bar. Mumbai is a short flight from Kochi. 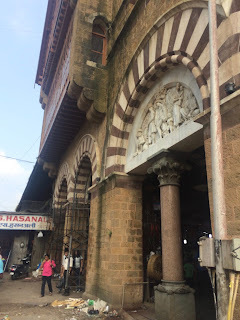 While it is much larger, in South Mumbai I found a haven of architectural restoration. 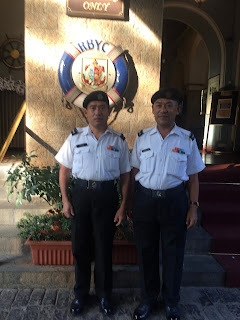 One of the best examples is the Royal Bombay Yacht Club, which is both a massive boathouse and an Indo-Saracenic clubhouse in South Bombay’s Colaba neighborhood. The RBYC was founded in 1846 and got the “royal” in its name thanks to support from Queen Victoria. The club’s president is called the Commodore and the bellhops wear sailor suits. Today, the membership is almost all Indian. If a visitor can secure a member’s sponsorship to get a reservation, it’s a very special place to stay. I just made my third visit. Between staring at the encaustic tiled floors, trudging up the circular staircase and watching the old brass elevator rise, I am in historical heaven. The furniture in the rooms is simple, but the bathrooms are large and nicely updated, the air conditioning is a chill parade, and the closed-in old balcony porches all have sea views. I could rave to you about the great, well-priced food in the club dining room—especially the Indian dishes and delicate Anglo-Indian sandwiches—but it’s not a restaurant open to the public. Perveen Mistry’s father, Jamshedji, is most certainly a member. The club’s Dolphin Bar is such a convenient place for him to submerge government officials in alcohol to get necessary information! 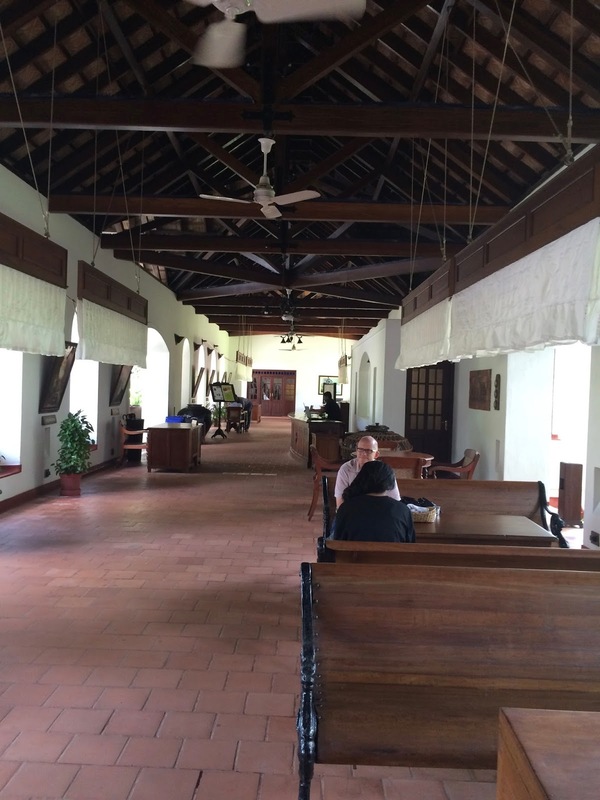 Another private club I was lucky to research in person was the Ripon Club, a place for Parsi “lawyers, businessmen and accountants” in Mumbai’s historic Fort district. The tiled floors and antique dining room furniture is spectacular. 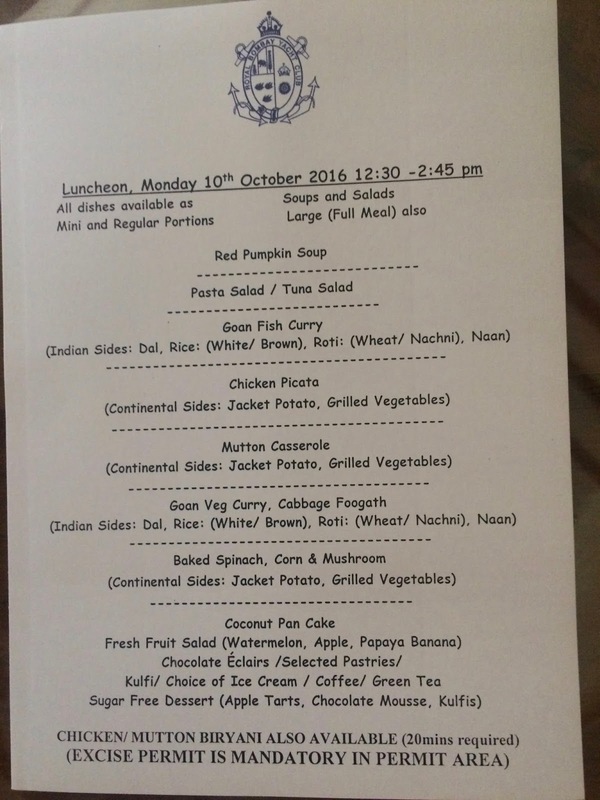 Like the RBYC, the food here is to die for, and most of it is Parsi or Chinese. Perveen stops by here to rescue her father from a lengthly afternoon nap in one of the infamous teak lounge chairs. 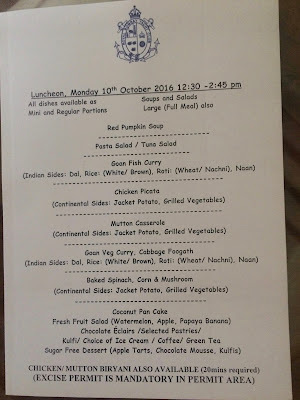 I had a tasty lunch at the Ripon Club with a Parsi woman lawyer showing me around various places in legal Bombay. In the club’s old days, only men could be admitted as members. So in my fictional world, Perveen will find a way to storm the bastion. Just plotting it makes me smile. Sujata Massey is the author of 14 books including 2018’s The Widows of Malabar Hill, a mystery set in 1921 Mumbai. She lives and writes in Baltimore with her husband, two children and a Yorkshire Terrier and a Beagle. Her books have won the Agatha and Macavity and been nominated for the Edgar, Anthony, and Mary Higgins Clark awards. This is fascinating, Sujata; you’ve made the history come alive. I’m looking forward to reading “The Widows of Malabar Hill” . . . .
Wow! What an evocative early-morning read. Thank you. Congrats on your new book, Sujata. I’m off to find it and your Japan series. Reading this was like taking a trip to India. Thanks, Sujata! And of course my usual question: What did you eat?!? perhaps naan, aloo ? or masala. I never remember the names of Indian food! I've seen so many recommendations for The Widows of Malabar Hill, Sujata. Every review gives it a major thumbs up. As Hallie says, this blog post is almost as good as being in India, a place I've not yet been. The Widows of Malabar Hill is indeed a very special book. I can't wait to see what the rest of Perveen's journey is going to look like. This essay was so excellent for both enticing readers to try this book, as well as, for those of us who have already done so. And I can't recommend Sujata's Rei Shimura highly enough. They are simply excellent. I envy those that can fill time time between the Perveen India books with a trip to Japan. Loved this book as I did all of the Rei books! Thank you Sujata and keep on writing, please. Oh Sujata, you have no idea the effect that THE WIDOWS OF MALABAR HILL has had on our household. While I very much enjoyed the book, my partner, Julie, is in love with Parveen, with your characterizations, with your writing, and with you. Just last night we were considering the possibility of an Indian trip. I must admit this was right after binge-watching "The Good Karma Hospital." Julie is delighted to know more book in this series are planned. In the meantime I'm starting the Rei Shimura books. Oh my gosh--thanks so much, everyone! I am really pleased that Rei readers are willing to take the plunge to another country, another heroine, and another era! Ann, I also enjoyed Good Karma Hospital and am eagerly awaiting more episodes. Glad you are thinking of going to India. Hallie, I ate very unspicy Gujarati vegetarian food in Ahmedabad. House of MG has got it down to a science, because most of the American and British travelers were eating with gusto and not getting sick. I ate more widely, a lot of fish and shrimp dishes in Mumbai, which it's famous for. I had some very delicious biryani dishes several times during my stay. This is a layered rice dish with many spices, vegetables, and sometimes meat. it's a great bet for travelers wanting to keep their stomachs happy. A few sweets crossed my plate, but I wound up losing a couple of pounds in India despite eating what i wanted. I chalk it up to Gujarat! Hello Sujata, what lovely photos! 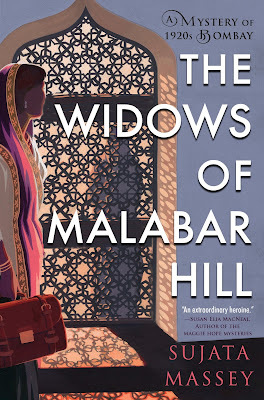 India is so big--so many different areas for you to explore with Perveen--I am definitely adding The Widows of Malabar Hill to my TBR list--I would've grabbed it for the title and the cover alone even if I'd not read your delicious essay. And I'll have your Rei Shimura series to tackle while we all wait for the next Perveen! Reading this made me 1) order THE WIDOWS OF MALABAR HILL 2) want to visit India 3) hungry! I think Sujata has a unique flair for immersing western readers in an alien culture, making it comprehensible without simplifying it or allowing European/American mores to come out on top. I've very much enjoyed the Rei Shimura series, and am looking forward to seeing what she does in a historical setting. Welcome to Jungle Reds! We met at Malice Domestic 2016. I am so glad I stopped by this morning. Interesting about Parsi in India and women. I got the impression (perhaps I am mistaken?) that boys are valued more than girls in India. I was watching a new to me TV series on Acorn called The Good Karma Hospital. A poor family already has three daughters and the husband really wants a boy. He is very upset when his wife gives birth to another girl. Reading about your new series set in India made me want to read your books. I am adding your Parsi book to my list of books to read this year. A long time ago I read one of your books set in Japan. Our friend Penny Warner let me borrow your book from ger. I had not been able to find your books until Malice then at my local library! The cover of this book is gorgeous and coupled with this post, I'm definitely intrigued. I've been intending to read The Widows of Malabar Hill for some time. A friend and I took a tour to India a couple of years ago. We were in the Golden Triangle the entire time, not anywhere near your travelogue! It is a fascinating country and HUGE! I didn't realize the Parsi were favored by the British government. Freddie Mercury of Queen wound up in England for that reason. His parents were Parsi and civil servants. When India won its independence their jobs were in jeopardy or gone, so they immigrated. Hi Sujata--so lovely to see you hear. I'm with Julia--I just ordered The Widows of Malabar Hill. (Not to mention that I always take Ann and Julie's glowing recommendations!) I've long been fascinated by colonial India and can't wait to dive in and meet Perveen. I'm also looking up The Good Karma Hospital on Acorn. I absolutely loved The Widows of Malabar Hill, read it as soon as it came out! Now I will have to search out your other series as I'd never heard of it before. I love Perveen and hope she will have a long and well documented career. Thank you so much for providing this fascinating glimpse behind the scenes! I love the photos from your research, Sujata! India looks amazing! Can you tell us how you decided to set your first series in Japan and what prompted the move to India? Congrats on the new release! Gary, how delightful to see you here and thanks! This is a wonderful look behind the scenes of Perveen's adventure! I loved The Widows of Malabar Hill and can hardly wait for your next book. Thank you so much for sharing these rich images. Beth, I appreciate you being an early reader! Next one should be in early 2019! If you have time to post an honest online review it would greatly help boost the book! Congratulations on the new release, Sujata! We have a lover of all things Japanese in my house, so I am starting him on that series. As for me, I have a fascination for India, so I am just thrilled to dive into The Widows of Malabar Hill. Thanks and the congrats accepted. Happy reading, I appreciate it! I remember the Science Museum in Baltimore. Fascinating! What a wonderful period of Indian history to explore. Exotic, yet contemporary. The perfect mix. I've moved this book to the top of my TBR stack. :-) Thank you, Sujata, for sharing some of your "on the ground" research experiences! I happened to pick up your new book at the library (great cover! ), and seeing Charles Todd's blurb on the back, checked it out and proceeded to devour it quickly. I can highly recommend it! I enjoyed reading the background for the book here at Jungle Reds. I am now just finishing the first book in the Rei Shimura series and very much enjoying that, as well.